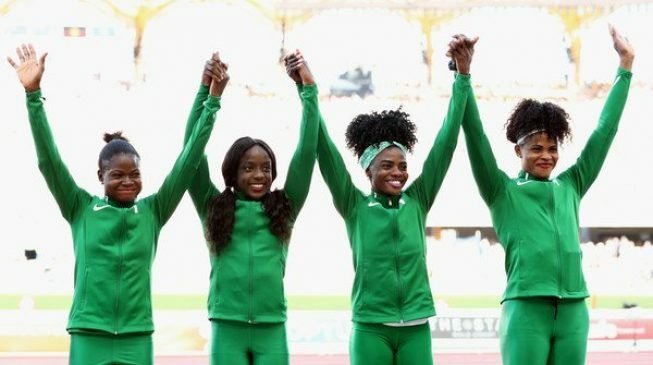 Nigerian athletes were each paid N107,000 for all their efforts at the Asaba 2018 African Athletics Championships. Against all odds, Nigerian rallied to a third place finish on medals table, but when it was pay time on Sunday night, there were more questions than answers as the athletes received 107k for those who participated. While those who were in camp and didn’t perform at Asaba went home empty handed. An official of the Athletics Federation of Nigeria explained that the money was to enable the athletes transport themselves back home. AFN president Ibrahim Gusau said that they are looking into ways of not paying athletes allowances just like it is being done in South Africa.